Creating with Allie: Valentine's card but this time with Party Pandas!!! Valentine's card but this time with Party Pandas!!! Hello Friends!! 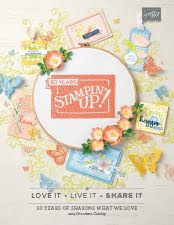 here is a quick and easy card using the Sure Do Love You stamp set from the brand NEW Occasions catalog!! but this time I incorporated an image from the Party Pandas stamp set.. 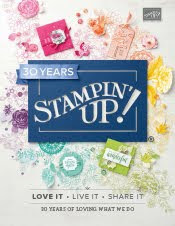 Remember that you can get the Party Pandas stamp set FREE when you order $50 on Stampin' Up! products as this set is part of Sale-A-Bration!! this set is super cute!! those pandas are adorable and I am sure these will be used in so many projects!! Note that I used the light smoky slate blends to give some depth to the little panda, I also colored the heart on the letter with the blends and added wink of stella because why wouldn't you? this adds a little bit of shimmer to the heart!, I also colored its cheeks with light pink pirouette blends. 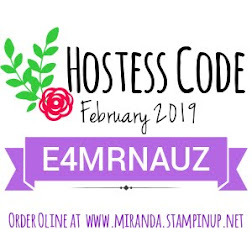 Below is the supply list where you can see all the items I use to make this card, you can click on any of the images below and it will take you to my online store where you can purchase any of these products.